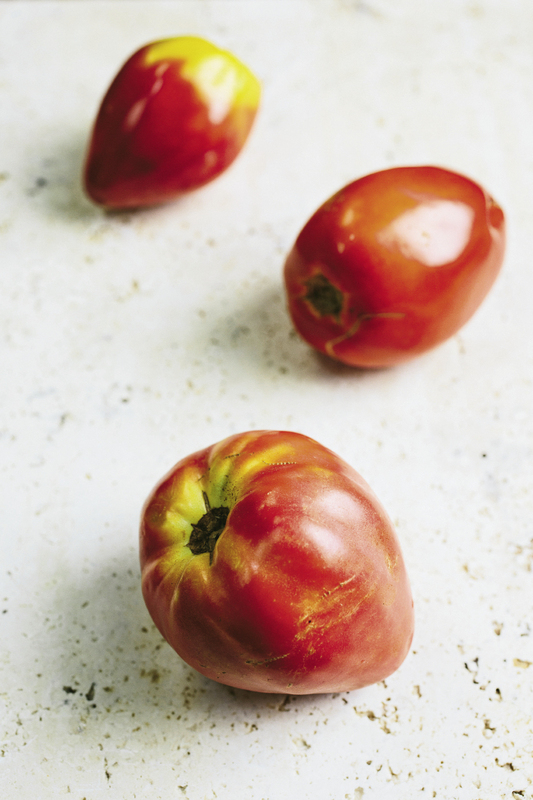 Not much is better than a juicy tomato plucked straight from the vine—especially if it’s an old-school heirloom variety. 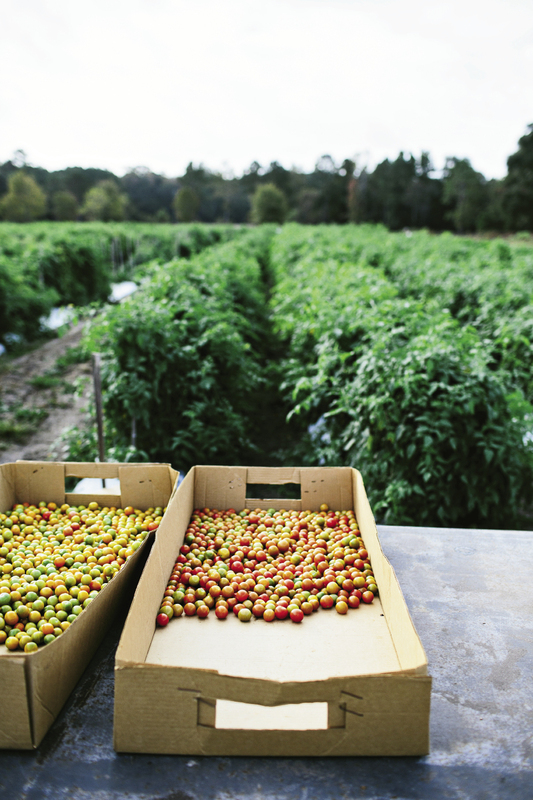 Since June is high tomato season in the Lowcountry, we’ve gathered some of the best locally grown heirlooms, sharing their flavor profiles and best uses, as well as a few recipes for special summer dishes. Shawn Thackeray has been growing his signature—and aptly named—“Wadmalaw Fuglies” at his farm on the island for 12 years. These are picked green for shipping to supermarket shelves. 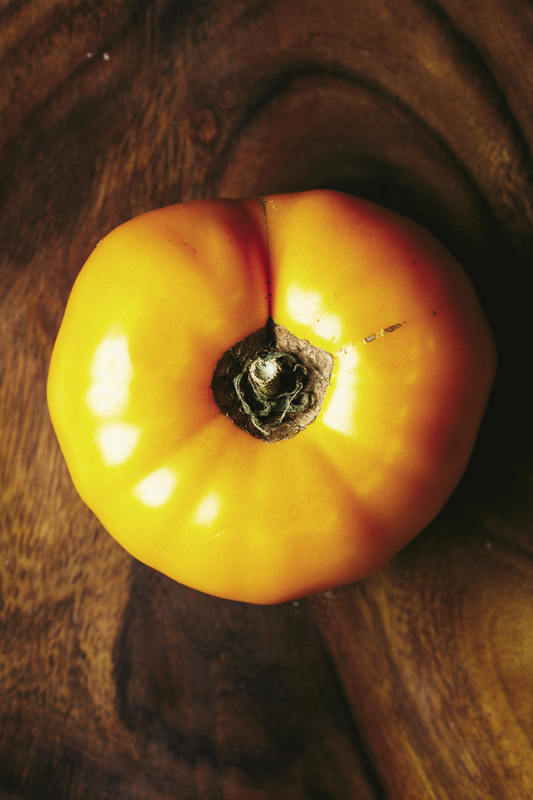 But don’t let their scarred looks fool you: Fuglies have a mild, sweet flavor and are well-balanced with acidity. 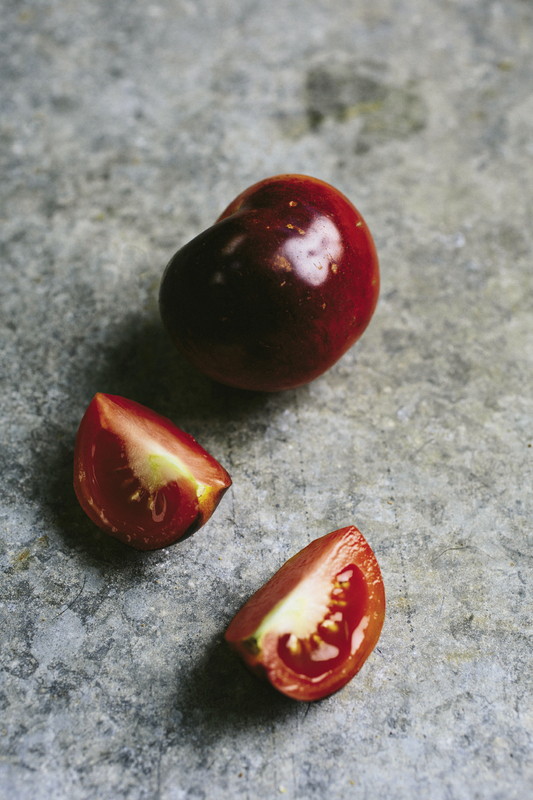 Thackeray also produces a bounty of other tomatoes, including these colorful heirloom cherries. I remember the perfect ones from childhood. They appeared when the honeysuckle was in full bloom and big, cold drops burst from thunderclouds in the afternoons, leaving a sultry mist smelling of wet country asphalt to swirl amongst cane poles and bare feet. This was the season of fine tomatoes, or pomme d’amour, as the French say. 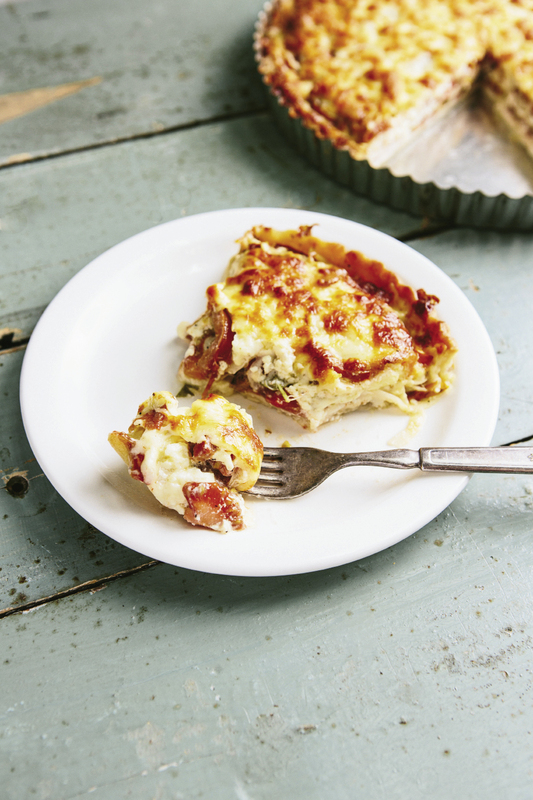 These days, tomatoes come all year round. Fancy hydroponic ones defy the wintertime chill by growing indoors. Green ones picked early ship to market, ripening along the way. The industrial trade follows the harvest from the perennial orbs of deep Florida northward, moving slowly with the season each spring. At some point in the seasonal march, the time is right in the Lowcountry, and the real feast begins. The tastiest ones come in the middle of summer, with the rains slack and heat ascendant, when the best farmers let them dry out a bit, sacrificing a little yield for the intense concentration of flavor. You’ll discover them hidden in backyards, down country roads, and in ornate urban gardens, their smiling owners proud as new parents. For me it’s an annual quest, this hunt for the perfect tomato. I sometimes find them in obvious places. David Howe grows some good ones at his Owl’s Nest Plantation and sells them on Saturdays at the downtown farmers market. Shawn Thackeray’s “Wadmalaw Fuglies” occasionally grace the produce section of Whole Foods Market. And I never miss a chance to pull into Greg Johnsman’s Geechie Boy Market and Mill on the way to Edisto Beach. 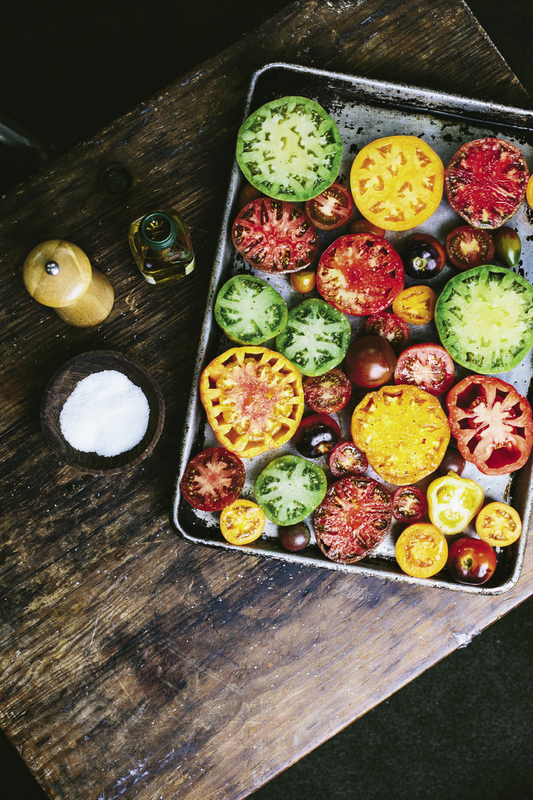 His father-in-law, Adair McKoy, has been growing tomatoes for half a century, but Johnsman convinced him to grow some heirloom varieties, older plants that were often selected for taste, rather than disease resistance or yield. They cost more to produce, but they sell at a higher price, and their diversity of tastes is incomparable. 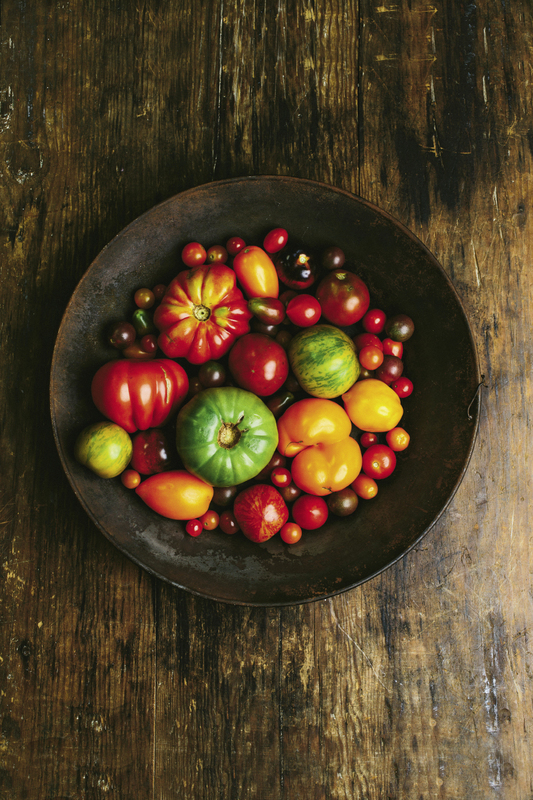 Heirlooms and other open-pollinated varieties come in a rainbow of texture and flavor. Red ones often display an acidic bite. Pink orbs, such as the famous Brandywine, present a balance of sweet and sharp. Yellows are highest in sugar, and then there are the black and purple, most of which arrived recently from the former Soviet Union. Perhaps my favorite is the Cherokee Purple. It’s dark and musty, with a beguiling sweetness that intensifies with the rising mercury. 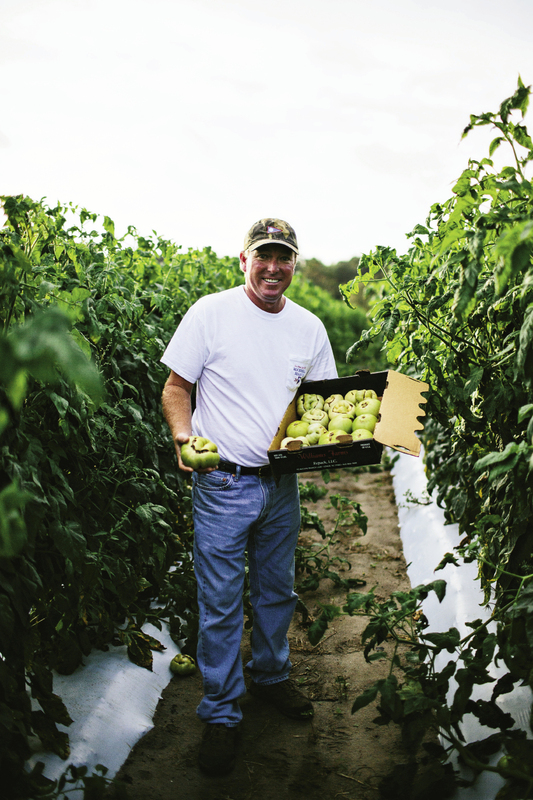 The best ones come from North Carolina, where the variety was developed, but they don’t travel well, so local growers work to fruit a few, struggling mightily with fungal diseases that alight in the humid summer breeze and viral blights endemic in much of our soil. It’s a constant fight for home gardeners and commercial producers here, racing against the germs to get a crop from plants that will certainly succumb. That’s what makes roadside stands, a friendly neighbor’s garden patch, and places like Geechie Boy so special. 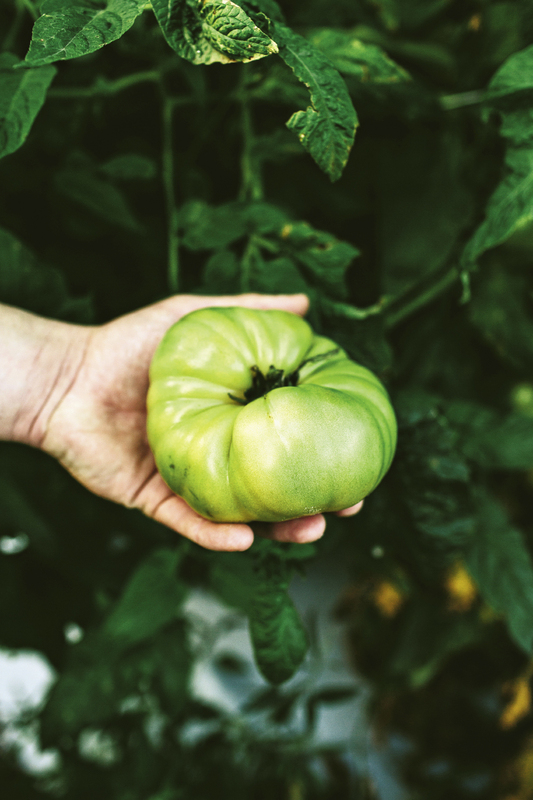 Johnsman’s crew can’t pick all the tomatoes green for shipping, and the heirlooms that slip through—that are plucked ripe from the vine—end up for sale alongside bags of his stone-ground grits in that little shack on the road to Edisto. I buy as many as I can carry. The blemished ones (and there are always blemishes in the world of good tomatoes) become tomato pies and simple sauces for fresh pasta. But if you get to a stand early and pick amongst the pile, there are inevitably perfect specimens, exquisitely ripe, just at the edge of “going bad.” Another day might do them in; even a gentle squeeze will bruise them. These require special care, and I serve them the way my grandmother taught me: thickly sliced with a sprinkle of salt and black pepper or stuffed between two pieces of white toast anointed with a quarter inch of mayonnaise. You’ll know that you’ve bitten into a truly fine “love apple” when the juice dribbles off your chin. Best Uses: The dense flesh makes this tomato great for canning, but the robust flavor has cultivated a following amongst chefs who often use them fresh from the vine. 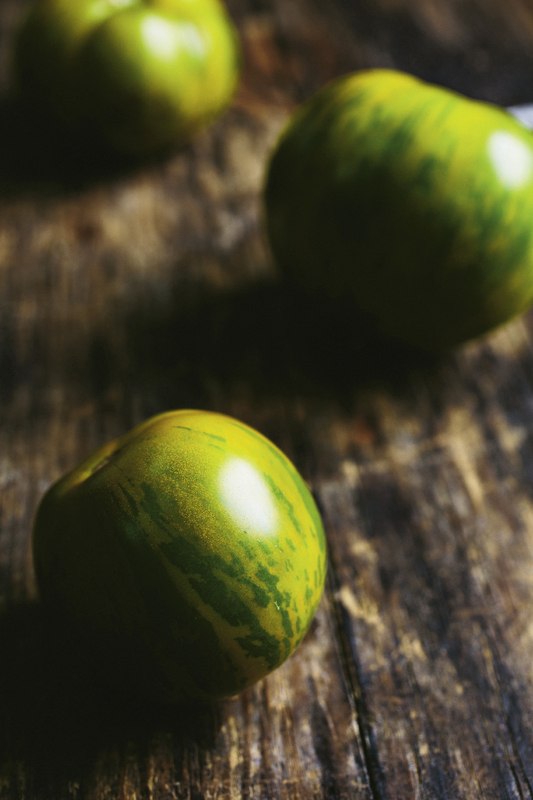 Flavor Profile: Sweet, sun-kissed goodness erupts from these small, elongated orbs. 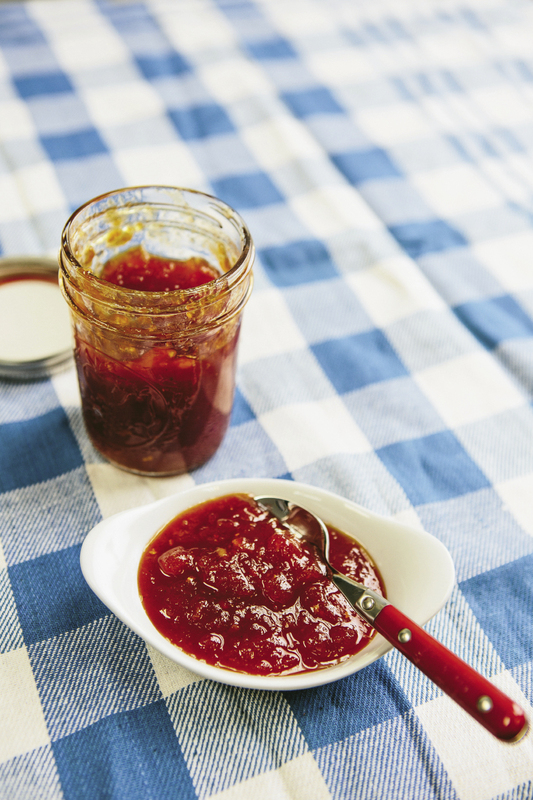 Best Uses: Paste tomatoes’ versatility allows for multiple applications, from trendy yellow ketchup to fresh salsa. 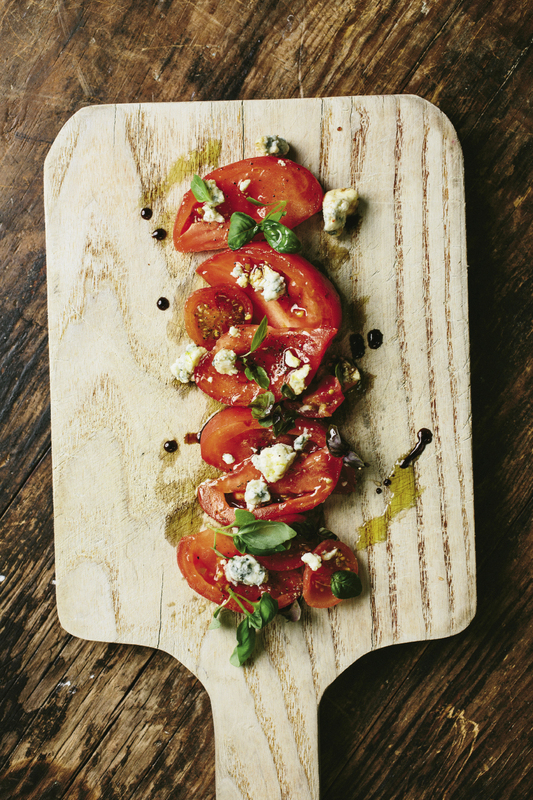 Description: Black tomatoes, developed in Eastern Europe, are rather new to the Lowcountry. 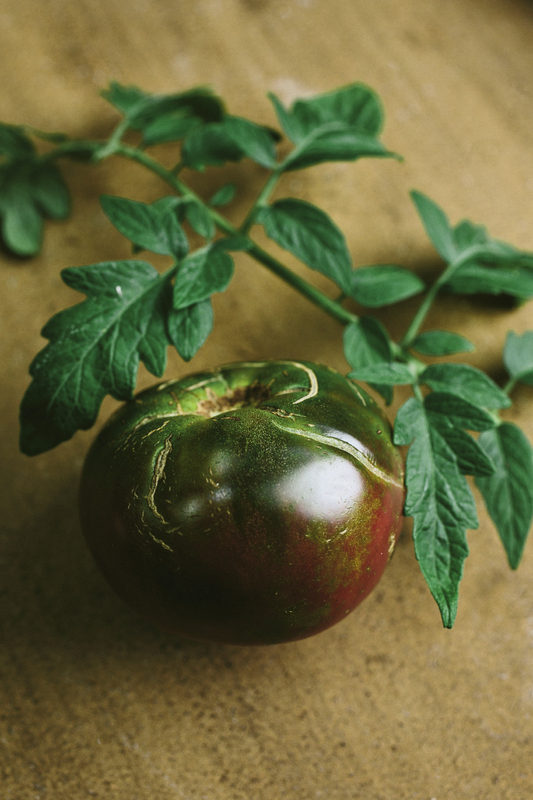 The Krim, sourced from its namesake town in Russia in 1990, can be difficult to grow here but turns a beautiful black in the heat of our summer. Flavor Profile: Some say these fruits can be smoky, others detect a salty flavor, but the mysterious black Russians are usually well-balanced and very delicious. 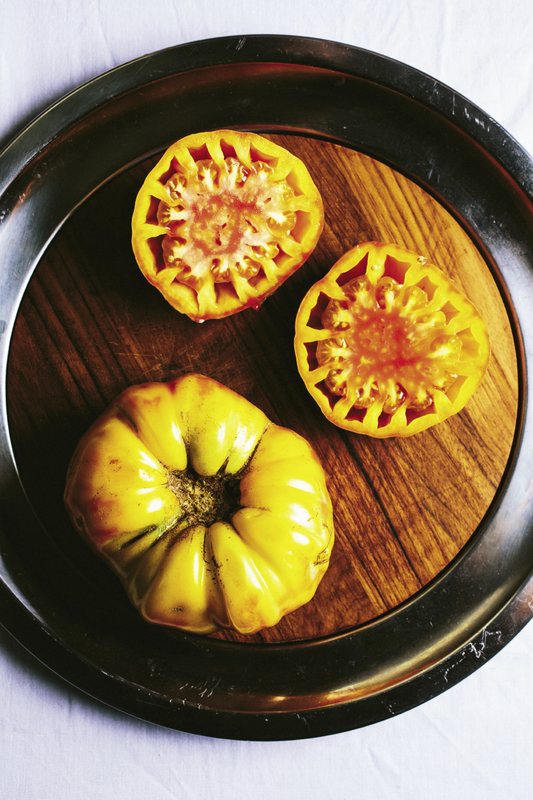 Best Uses: The striking colors make these perfect for pairing with yellows and reds in a fresh tomato salad or even a briefly heated concassé for bruschetta or sauces. Description: These small, prolific tomatoes are as nice to gaze upon as to eat, with red-orange striping reminiscent of their more well-known cousin, the Green Zebra. Flavor Profile: Very sweet—the Tigerella displays its hereditary links to pink and yellow tomatoes, capturing the full force of summer sun into its nectar. Best Use: Tomatoes this beautiful should be displayed in full view; use them raw and cut into salads where the stripes can shine. Description: The “Bull’s Heart,” known in the Americas as an Oxheart tomato, is an old European favorite regaled for its mild flavor and large fruit. 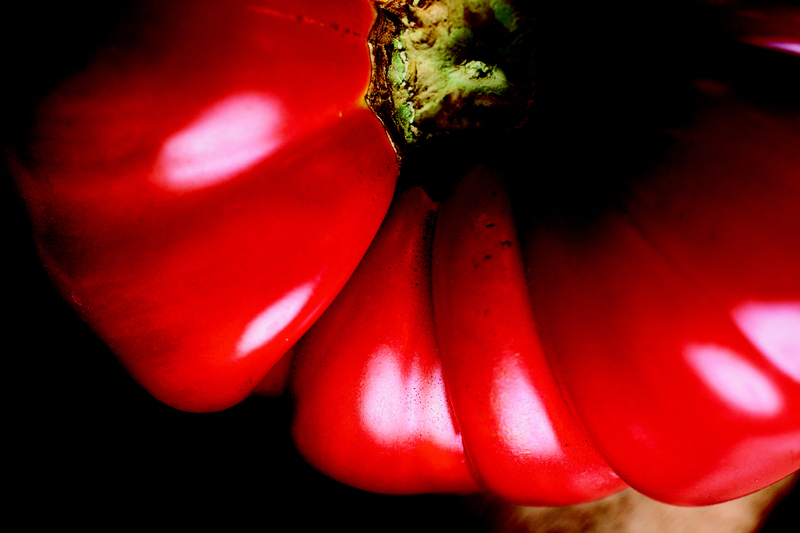 Flavor Profile: Deeply sweet and extraordinarily juicy, these are a favorite for fresh eating. 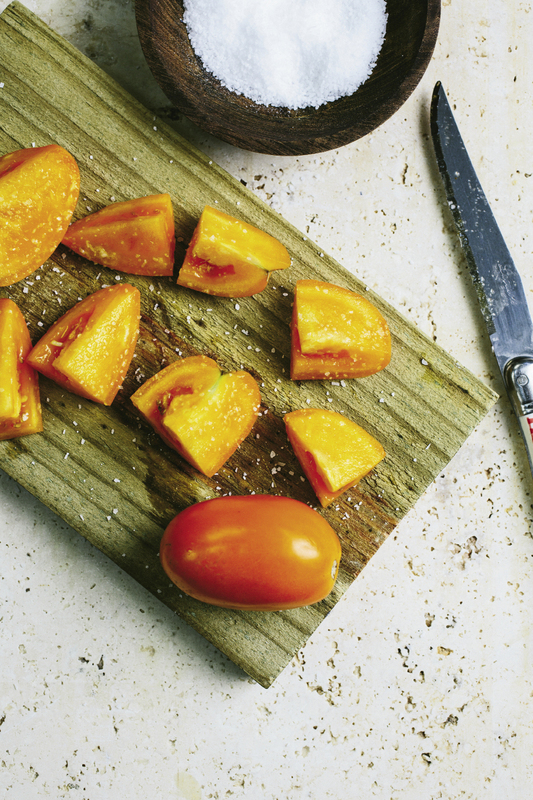 Best Uses: Slice them for sandwiches or serve in a salad. A little lemon juice balances their inherent sweetness and brings them to life. Description: Fabulously colored, the Hawaiian Pineapple is as striking as any fruit on the market. 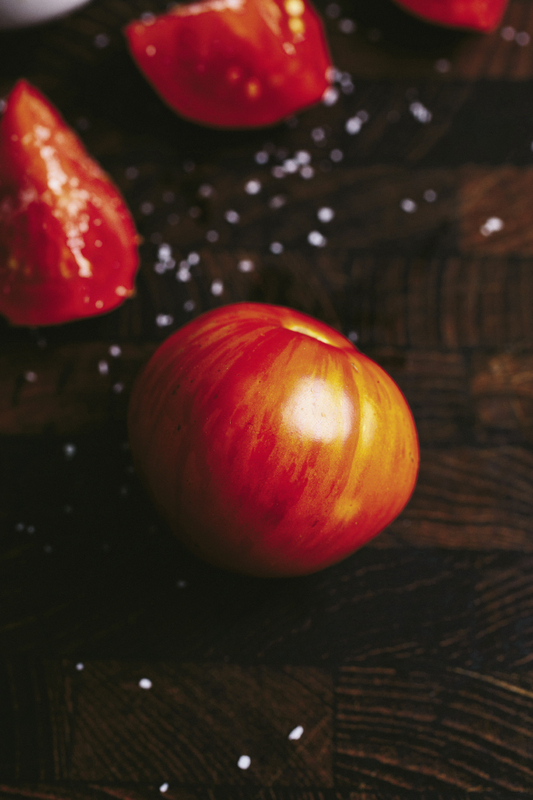 Flavor Profile: Rarely does a tomato look and taste as amazing as this one. Hawaiian Pineapple is extremely sweet with low acid; its melon-like overtones carry through to the fruit-forward flavor. Best Use: Fine on its own, but perhaps it shines most appealingly puréed into a creative Bloody Mary, where it can bring an unexpected tropical twist. Description: These small, multicolored fruits are striated with a verdant spectrum of greens that vary depending on climate and condition. Flavor Profile: Sharp and acidic, the Green Zebra brings a bite to the plate. Best Uses: Their sometimes mealy texture and pronounced acidity make them good picks for smashing into a chile verde with tomatillos or pickling into a sprite summertime chutney. Description: Large bright-orange fruits, up to two pounders, emerge from this popular variety, but it can be very difficult to grow in the humid conditions of the Carolinas. Flavor Profile: A slicer hailing from West Virginia, it’s renowned for superior flavor high in sweetness with a citrusy complexity. Best Use: As the name suggests, if you can get your hands on a vine-ripe Kellogg’s, it’s best to slice it and eat—even for the first meal of the day. Description: These plum-size fruits grow prolifically on determinate bushes (compact plants upon which the fruit ripens at about the same time), but it’s the deep purple color that gets local chefs excited about putting them on the plate.